Bonjour lecteurs! Day 2 of our special Christmas Giveaways event and we are very happy to be back with Learning Resources. After spoiling babies with a stunning Rachel Riley Babygro, we are now very pleased to offer you some fun toy. 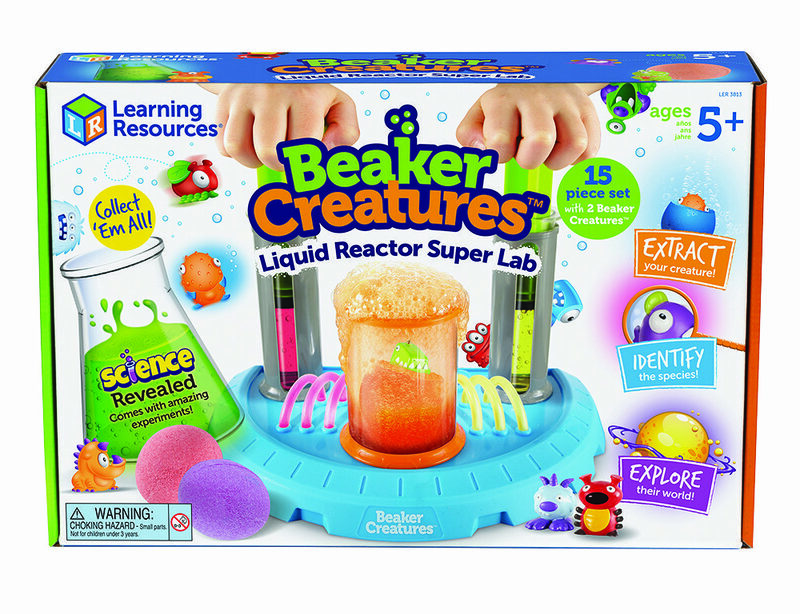 Win a Beaker Creatures™ Liquid Reactor Super Lab Worth £25. Get them in some scientific mode in 2019! We already featured this fantastic shop twice on the blog. It all started last year when they ask Baba to test its counting cows. We loved this set so much (Baba is still playing with it to this day!) we decided to work encore with the brand in our massive Back to School Giveaways series. Learning Resources is based in Norfolk since 1994 and offers parents and teachers a large choice of educational products. Because we strongly believe that children learn best when playing and having fun, we are so happy to feature this label once more! Fancy a game that will develop their curiosité? 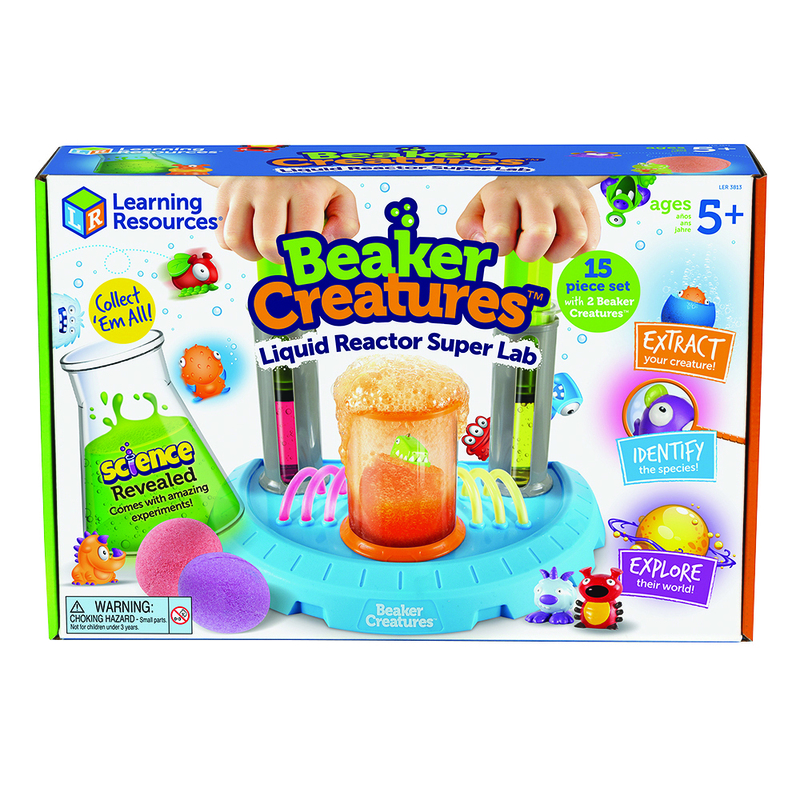 Then this fab Beaker Creatures™ Liquid Reactor Super Lab is the answer! 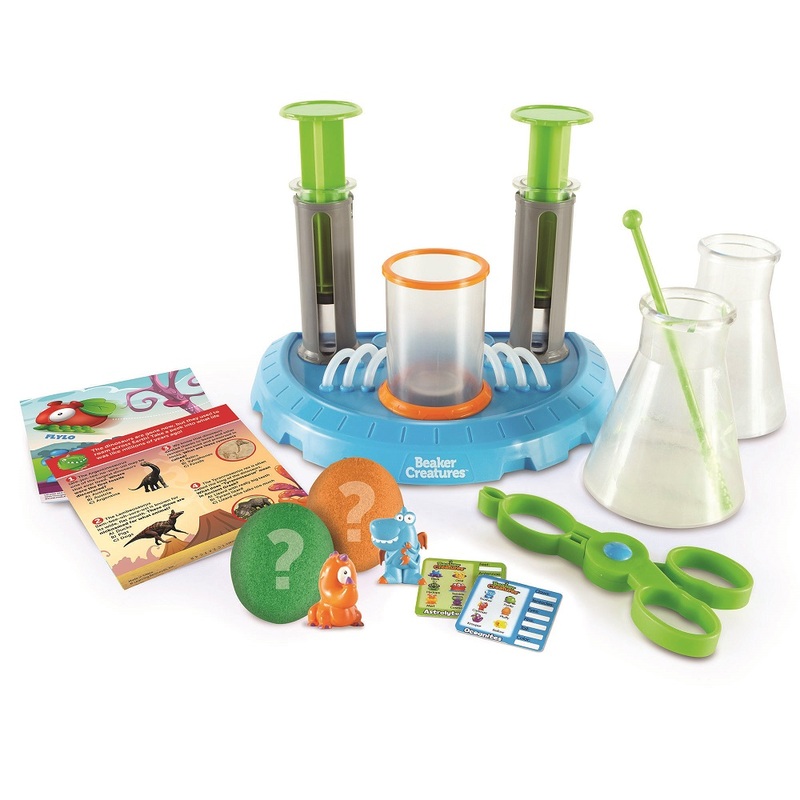 Children can explore and pretend to be mini scientists with this. En plus, they can get some collectibles too! 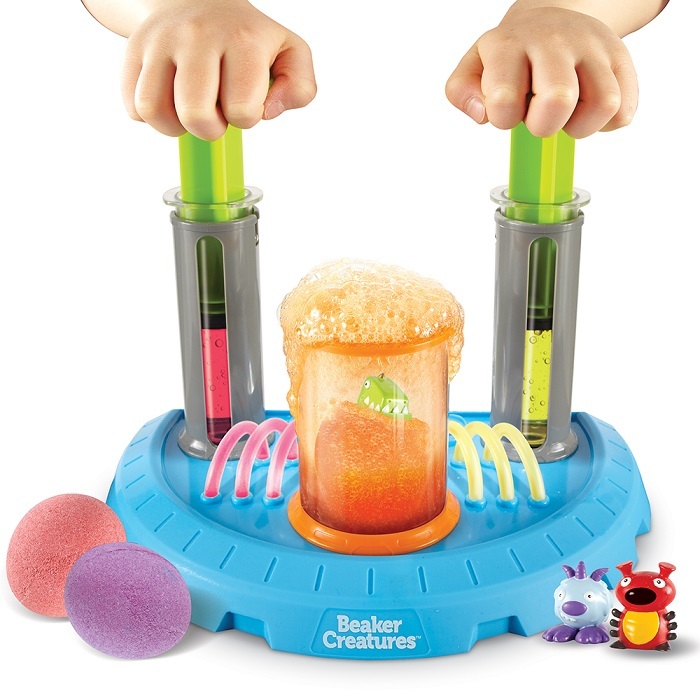 Your little ones can create some amazing bubbling reactions with this Lab. Drop a Beaker Creature Reactor Pod into the chamber and you are set for some magic! Well, it is science really but the bubbling reaction will reveal a creature inside. So it is fun and colourful while being exciting! This entire set will set you up for some fun and discovery! Fancy some game that can develop children’s scientific skills? 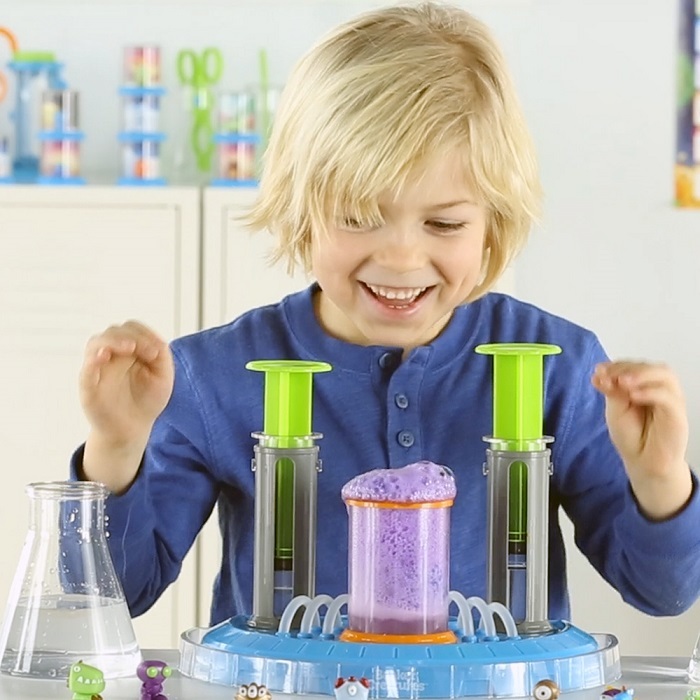 Win a Beaker Creatures™ Liquid Reactor Super Lab Worth £25 now via Gleam! This giveaway starts on the 2nd of December and ends at midnight on the 2nd of January 2019. We will be back tomorrow with a gorgeous necklace from Merci Maman! A prize you must not miss! Disclosure: This is a sponsored post written in collaboration with Learning Resources. I like that children can explore and pretend to be mini scientists. I like that it is educational and looks like a lot of fun! My son definitely looks like a mad scientist sometimes, and he really likes science. Looks like a possible fun xmas prezzie. I think it is great that it makes science FUN! when I was at school it was so boring! My daughter is a budding scientist – this would be the perfect gift to inspire her! Great for kids to learn about science. Both my kids love experimenting and finding out what happens to things so they would find this fun to play with. I like the combination of a toy that you can collect and the fun science experiment element. I love the way it makes science so much fun. My little boy is already obsessed with science and his 5th birthday party is a spooky science theme, so this would be the ideal gift for him. This makes science cool and love that there is educational value. The combination of learning and fun. Hard to find a combo of both! Educational and fun at the same time! Science is so important so anything that helps learning is great. Great that you get mini posters to put up for the kids. This is something my daughter would really enjoy. She looks things she can interact with. I like that it is fun and educational which is the best way to learn. Kids will love creating the bubbling reactions . This looks great – making science fun! I love the mad scientist look with things that fizz and bubble and proper beakers which are sure to encourage any child to experiment. The bright colours are cool – this looks like a lot of fun! I love the Hydroplungers – they look fun! It looks so much fun with bright colours and interesting experiments. I love it and so would my granddaughter! I love the fact this is so hands on, they’re learning and don’t really realise they are as they’re having fun. Looks like a very good, hands on way to learn about science. It’s like an adventure in a box. Fun and educational. I love that it is fun and educational as well!